Picnic and pot luck: bring a side dish to share! 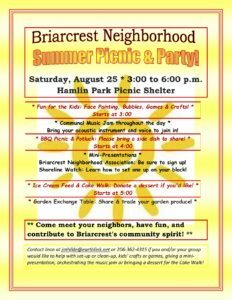 Meet your neighbors, have fun, and contribute to Briarcrest’s community spirit! 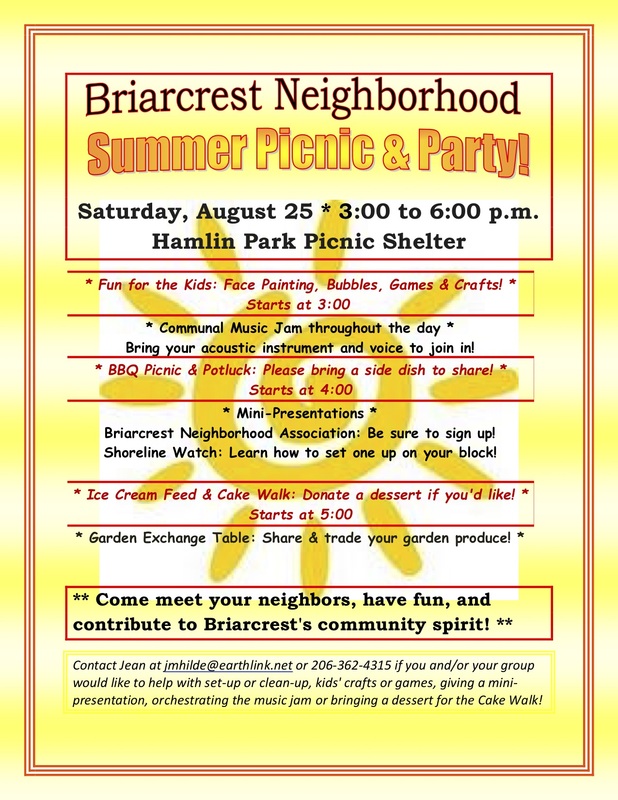 3-6pm at the Hamlin Park Picnic Shelter on Saturday, Aug 25.